Southco uses a wide variety of different key styles in its latches. 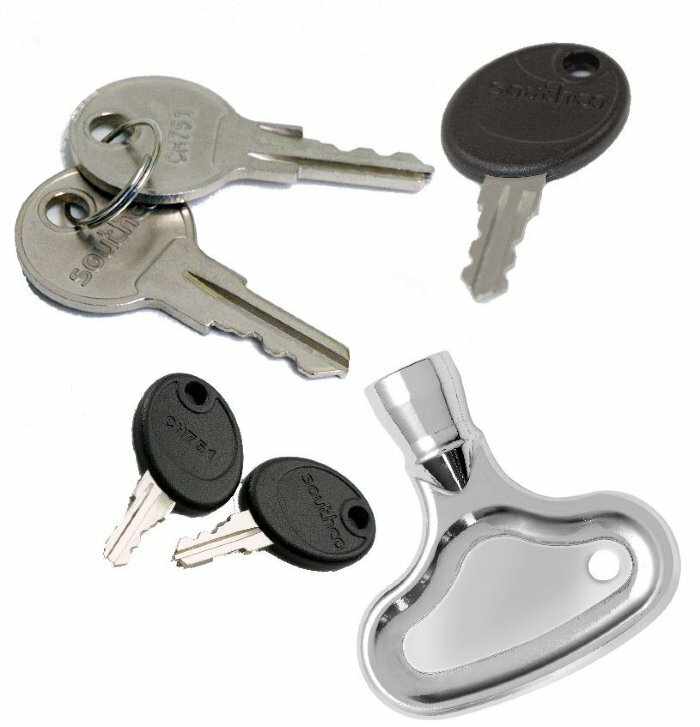 Here we have a selection of the most commonly used ones supplied as standard with Southco latches and locks. E3 keys are used on all E3 vice action compression latches and E5 cam latches which require tool access. Note: Where shown the head style images are for illustration purposes only and are not being offered for sale with the keys being viewed. 8 Male Square Key. Zinc alloy and nickel plated key for E3 and E5 latches. 3 Double Bit Key. Zinc alloy and nickel plated key for E3 and E5 latches. Southco Tubular head styles are used to add a level of security for E3 compression latches compared to the normal tool access type of recess. 7 triangle Key. Zinc alloy and nickel plated key for E3 and E5 latches. 7 Square Key. Zinc alloy and nickel plated key for E3 and E5 latches. 8 Triangle Key. Zinc alloy and nickel plated key for E3 and E5 latches. 8 Square Recess Key. Zinc alloy and nickel plated key for E3 and E5 latches. 5 Double Bit Key. Zinc alloy and nickel plated key for E3 and E5 latches. CH751 Key. As used in the majority of Southco key locking latches. Steel and Nickel plated.